Ready to connect with the value of your data? Creating an account with people.io gives you access to an ecosystem of data-fueled apps and services, created by some of the most innovative companies in the world. We get it, data just isn't fun to talk about (unless you're a bit nutty like us). That's why our app focusses on creating a simple, fun and rewarding experience that puts you in control. Stick it to Facebook. Your data, your value. Data isn't normally as simple as one, two, three - but our app is - take a look. Sign up & activate your account. 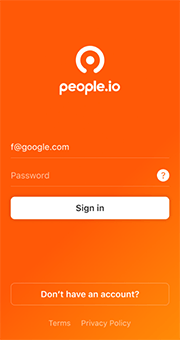 Install the people.io app, we'll show you a quick explainer on how we handle your data, then just enter a few basic details to create your account and get started. We'll keep your profile up-to-date by sending you fun questionnaires each day or just connect your digital accounts to the app and we'll do the work for you. 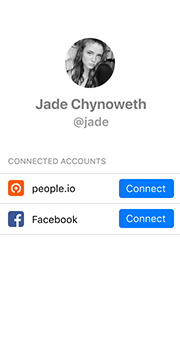 Connect your people.io account to other apps and we'll even help make their ads more interesting and content more relevant - while ensuring you retain control of your data. Some of the latest apps, enhanced by connecting your people.io profile. 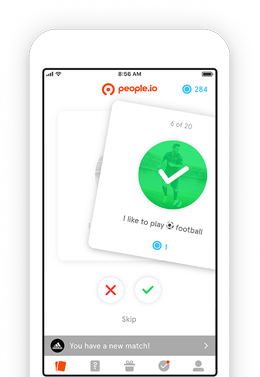 Designed to help you take control of your data, the people.io app is a fun and engaging way to manage your data, while receieving the best offers and deals from some of the world's most popular brands. Take control of your data. 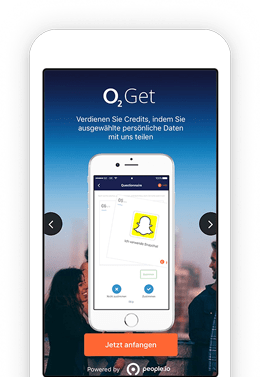 Get rewarded for answering questions and engaging with brands (only available in Germany). 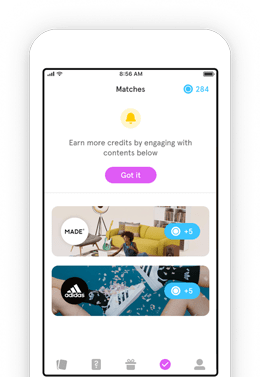 Designed for students, Flyk introduces a fun and simple way for 16-24's to start managing their data, while receieving the best offers and deals from some of the world's most popular brands. 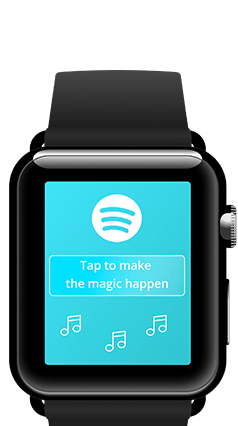 By analysing your current context and mood in real-time, Music Magic builds the perfect Spotify playlist for whatever you're doing, and however you're feeling. Just tap a button and hear the magic. Securely connect accounts from across your digital life and we'll use our proprietary machine learning algorithms to create a single view of 'you'. Our security focussed engineers always have an eye on the privacy and security of our community, applying industry leading techniques to safeguard our users. When unified, your data really comes to life. Isolated pieces of information now make sense, meaning less of those randomly targeted adverts and questionable recommendations. The value of data isn't just monetary, it's experiential too. Connect your people.io account to other apps and we'll help them enrich your experience by tailoring content and recommendations. Build data-centric products and apps, where people own the data. We never shut up about our goal to give people ownership and control of their data. But this isn’t just our mission — it’s yours as well! How do we create our questions? Today’s blog post comes to you from our resident neuropsychologist and jamón lover, Sonia, who goes into detail about the thought processes behind our questions. After many months of anticipation the marketplace is back. There’s been some confusion, so we’ve put together this short post to explain how the new marketplace works and what’s different. people.io is a trading name of C8 Management Ltd (09703904), a company registered in England and Wales. We'll need your permission to stay in contact with you via email. Our API is currently invite only, just enter your email below and one of the team will be in touch shortly.